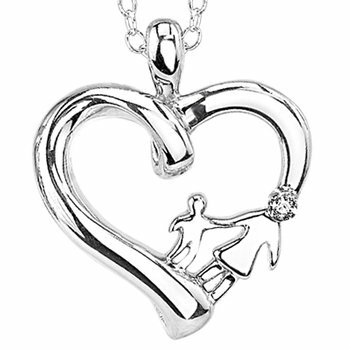 This beautiful silver heart pendant with diamond accent representing "A Mother's Love" is new to the Symbolic Hearts Collection. A mother and child create the right border of the heart and the symbolic inscription A Mother's Love is on the reverse side. An 18" sterling silver chain is included.